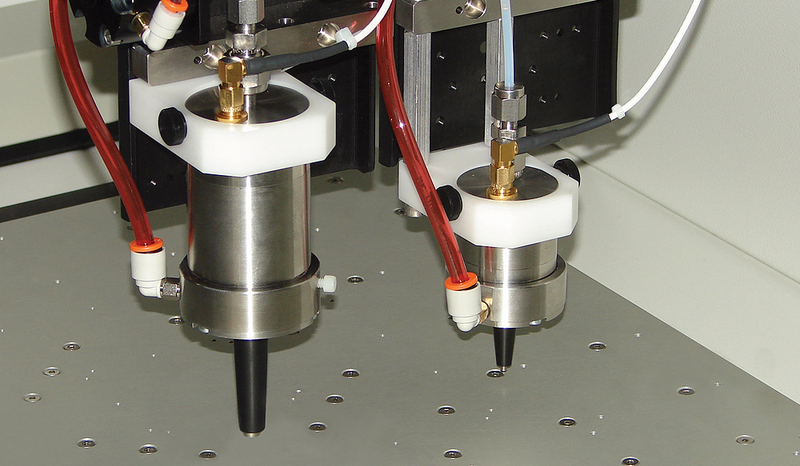 Sono-Tek ultrasonic nozzles are used to spray Clearweld 100, 200, and 900 Series coating materials in plastic laser welding applications requiring precision thin deposition. 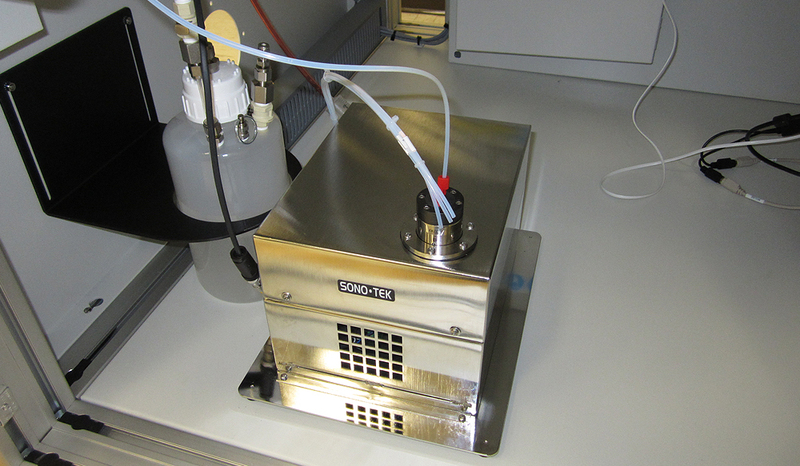 Sono-Tek’s PicoMist nozzle is perfectly suited for spraying fine lines of Clearweld material in repeatable, controllable spray processes. 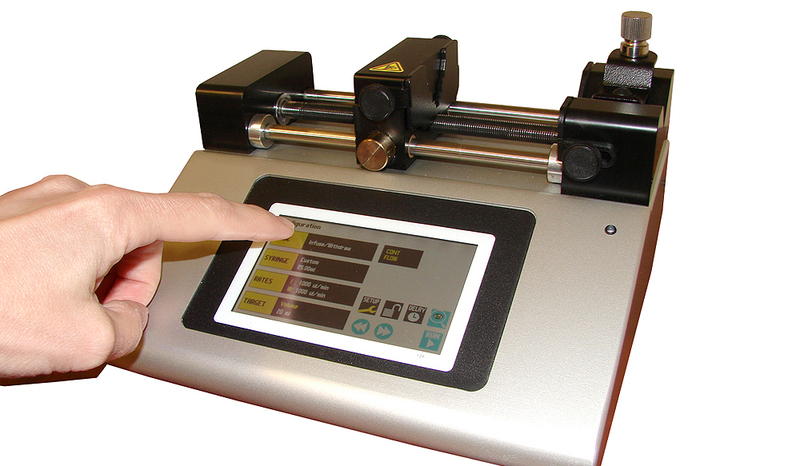 AccuMist air shaping is also used for creating wider lines of thin, uniform Clearweld coatings. 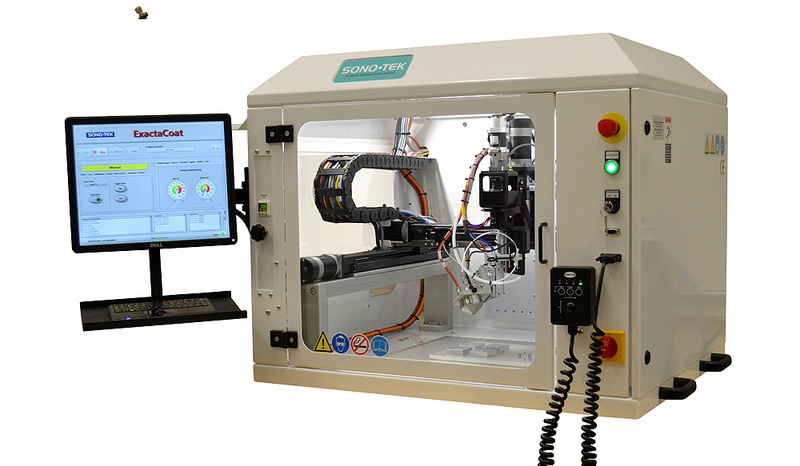 Ultrasonic nozzles are incorporated into the ExactaCoat MD programmable XYZ motion system for a fully integrated coating solution. 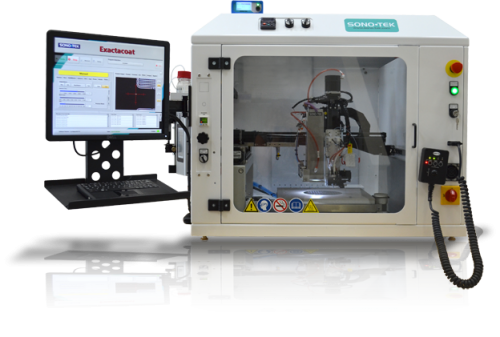 For more information regarding Branson laser equipment for clear on clear plastic laser welding solutions, visit Emerson Industrial.